In dog training there are tools that you can't go without. The primary functions of dog training equipment may vary but they have individual functions that will help you gain control over the dog, make the dog training easier or simply make the process faster. A typical dog trainer will not buy other training aids but would definitely subscribe to the use of collars. Dog collars come in various types with different functions, materials and appeal. As to the function the usual varieties include choke or chain collar, martingale collar, spoke collar, shock collar or electronic collar. As to the material used to manufacture the dog collar the most famous are the leather collars, nylon collars, fabric collars and metal collars. A common alternative to dog leashes, the harness is a training device that is typically used in conjunction with or in replacement of dog collars. 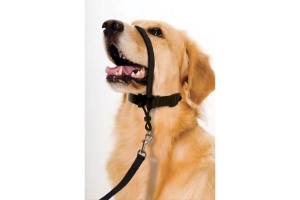 This distributes the force of pulling thus, preventing the possibilities of choking and could also prevent the chances of the dog slipping out when only a collar is used. 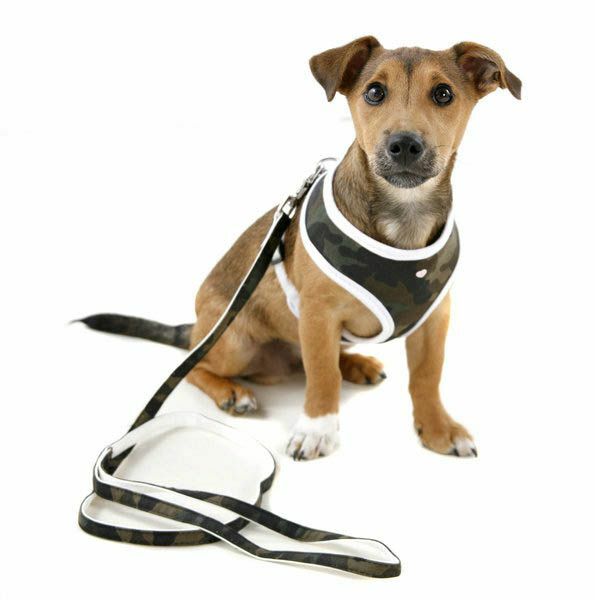 However, dog harnesses are not usually used for training ordinary house dogs instead harnesses are used for service dog training and assistance dog training. 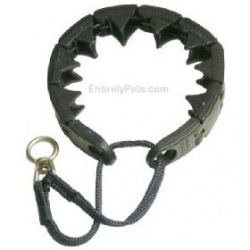 This is usually made of leather or rope that is attached to the dog collar for better control or restraint. There are, however, some leashes that are looped around the neck of the dog that eliminate the use of a collar. 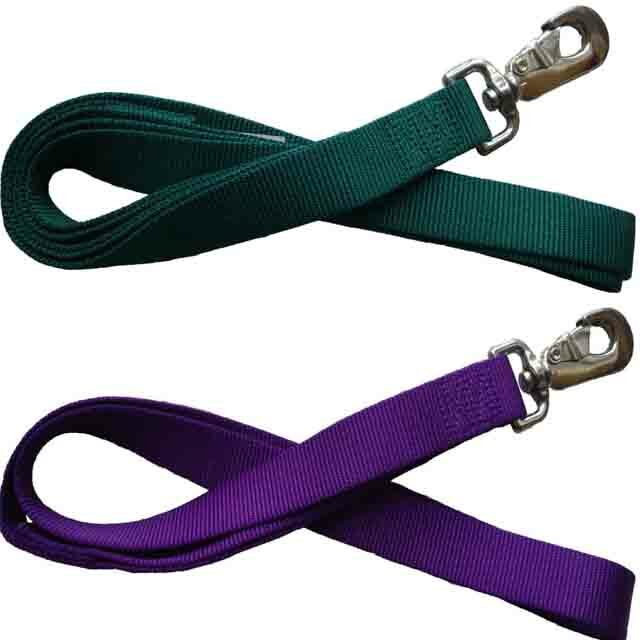 There are several types of leash according to length- the very short, the short, the webbing leash and extended webbing leash. The variations in sizes account for easier training depending on the distance wanted by the handler. For better control, tighter leashes are recommended while distance training is best accomplished using longer leashes. For dogs with unwanted biting and barking habits and need training to eliminate these behaviors, the dog muzzle is the most dependable type of dog equipment. 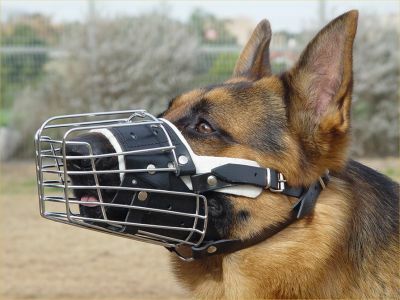 This is also used for aggressive and dangerous dogs to prevent any damage that dogs could do using their mouths. The muzzle is placed over the mouth of the dog to prevent it from opening its mouth. Dog muzzles could vary depending on the degree of freedom the device gives to the mouth, the construction material or the shape. It could be made of plastic, nylon, wire or leather. It is a common practice among dog trainers to put dog treats inside their pockets, however it could sometimes be inconvenient. The main disadvantage of which is that some owners may take time in getting the needed reward, thus delaying the purpose of rewarding. 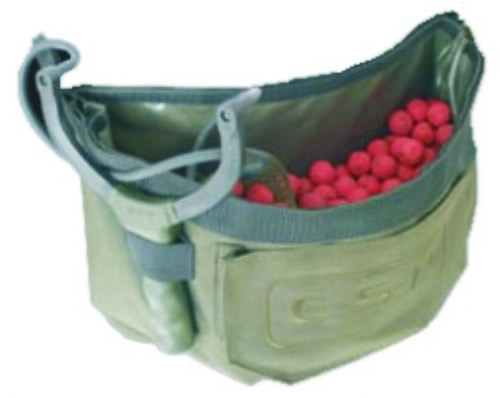 For better convenience, it is advisable for trainers to buy a bait pouch for training. This is an ordinary pouch that is made of canvass tied around the waist of the trainer for easier access to treats. This is a headgear and a variation of a collar that is used primarily for guiding, training and tying up an animal for easier control. It is worn over the muzzle of the dog and fits across the back of the head such that when the trainer pulls the head of the dog, it will follow the direction of pulling. Dog training equipment has various purposes, constructions and names. One device can't simply accomplish all the works of different equipment. Thus, it is helpful for handlers to determine the exact use of the equipment first before buying one.